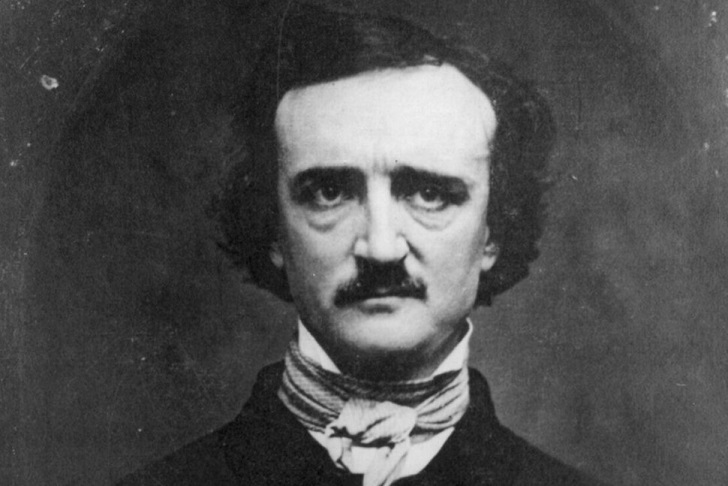 Edgar Allan Poe is one of the most influential writers in all of American literature. Not only did he come to epitomize all things ghastly and unnerving in Gothic horror with chillers like “The Tell-Tale Heart” and “The Cask of Amontillado,” but he also trailblazed the detective fiction genre with his character C. Auguste Dupin. He also made an impact on the world of puzzles. 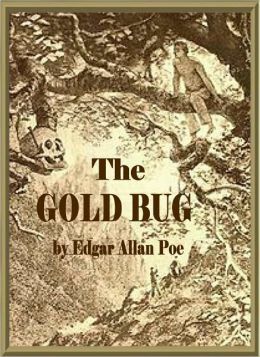 Those familiar with Poe’s works of fiction probably think I’m referring to his story “The Gold-Bug,” one of, if not the first, stories to not only mention cryptography, but to include a substitution cipher (a cipher where each letter in the alphabet is represented by a different letter, number, or symbol). In “The Gold-Bug,” an unnamed narrator meets the unusual William Legrand, a man obsessed with restoring his family’s lost fortune. Legrand shows off a large scarab-like insect, the titular gold bug. 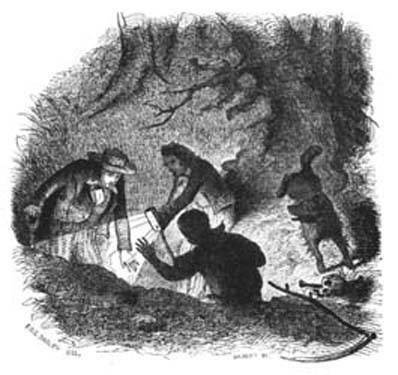 A month later, the narrator and Legrand are reunited when the obsessed Legrand (along with his servant Jupiter) goes off on a expedition to discover the location of the buried treasure of the legendary Captain Kidd. As it turns out, a piece of paper Jupiter used to collect the gold bug had traces of invisible ink on it, revealing a cipher containing instructions for how to find Kidd’s gold. But this was far from Poe’s only dalliance with codebreaking. In fact, he helped popularize the art and science of cryptography with a series of articles in a Philadelphia publication called Alexander’s Weekly Messenger. It would be by no means a labor lost to show how great a degree of rigid method enters into enigma-guessing. This may sound oddly; but it is not more strange than the well know fact that rules really exist, by means of which it is easy to decipher any species of hieroglyphical writing — that is to say writing where, in place of alphabetical letters, any kind of marks are made use of at random. For example, in place of A put % or any other arbitrary character –in place of B, a *, etc., etc. Let an entire alphabet be made in this manner, and then let this alphabet be used in any piece of writing. This writing can be read by means of a proper method. Let this be put to the test. Let any one address us a letter in this way, and we pledge ourselves to read it forthwith–however unusual or arbitrary may be the characters employed. For the next six months, Poe tackled every cipher sent to Alexander’s. According to Poe, he received around a hundred ciphers, though historians have stated that only 36 distinct ciphers appeared in Alexander’s Weekly Messenger, 15 of which had solutions or partial solutions printed. 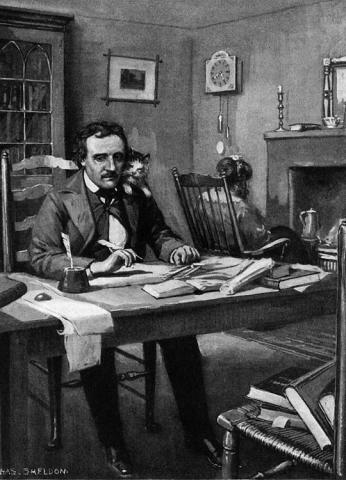 Nonetheless, it’s believed that Poe solved each of those 36 ciphers. He followed up this impressive feat with an essay about cryptography in July of 1841 for Graham’s Magazine, “A Few Words on Secret Writing,” in which he discussed ancient methods of encryption and decryption, name-dropping codebreaking icons like Trithemius, Vigenere, and others. It would be over a century before the first verifiable solution to a W.B. 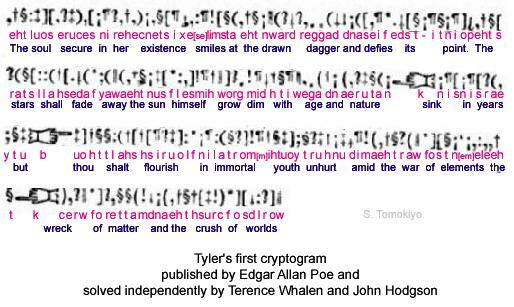 Tyler cryptogram appeared. Professor Terence Whalen published his solution to the first Tyler cryptogram in 1992, and even offered a $2500 prize to whomever could solve the remaining Tyler cryptogram. That prize was claimed 8 years later by a Canadian software expert named Gil Broza, who cracked what turned out to be a polyalphabetic cipher, one in which several substitution alphabets are used. To be fair, there is something to this theory. 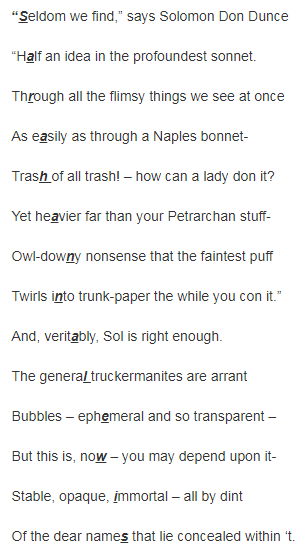 In a manner similar to Lewis Carroll hiding Alice Liddell’s name in an acrostic poem at the end of Through the Looking-Glass, Poe dedicated a poem to friend and poet Sarah Anna Lewis by hiding her name, one letter per line, in the poem itself. And to this day, the hunt is on for secret messages in Poe’s works, particularly his more esoteric and oddly worded pieces. For instance, his prose poem “Eureka” — a musing on the nature of the universe itself, which actually proposed a Big Bang-like theory for the birth of the universe well before scientists offered the same theory — is believed to contain some sort of secret message or code. Poe stated on more than one occasion that “human ingenuity cannot concoct a cipher which human ingenuity cannot resolve.” So if there is a code lurking in his works, someone will surely find it. And in the meantime, we can still enjoy the chills, the grand ideas, and the mysteries he left behind. That’s quite a puzzly legacy. This entry was posted in Games, PuzzleNation, Puzzles and tagged a few words on secret writing, Acrostic, alexander's, alexander's weekly messenger, alice liddell, Baltimore, baltimore post examiner, big bang, bookriot, c. auguste dupin, captain kidd, cipher, code breaking, codebreaking, Cryptogram, DIY puzzling, dupin, edgar allan poe, encryption, eureka, games, Geeking Out, gil broza, gold bug, graham's, graham's magazine, hidden message, legrand, Lewis Carroll, national cryptologic museum foundation, poetry, polyalphabetic cipher, Pop culture, puzzle literature, PuzzleNation, puzzles in literature, Puzzles in Pop Culture, Puzzlin' fool, sarah anne lewis, secret writing, steganography, substitution cipher, terence whalen, the cask of amontillado, the gold-bug, the tell-tale heart, through the looking-glass, trithemius, Vigenere, w.b. tyler, william legrand, Wordplay by gmdirect. Bookmark the permalink.